A German scientist proposes gravity as being the reason why alien races don’t visit Earth. Many scientists believe extraterrestrial life does, in fact, exist out there. It’s merely about finding a livable planet with a habitable orbit. The orbit allows for near-Earth temperatures and could permit the existence of water. Many such planets do actually exist outside Earth’s solar system. However, some scientists now believe gravity may prove to be a major problem and the ‘reason’ preventing extraterrestrials from leaving their planet. Super-Earths are planets similar to Earth in the sense that they could present water and livable temperatures. However, these planets are substantially larger than Earth. Our planet is not that substantially large. Super-Earths are also known as exoplanets. Due to the sheer size of such an exoplanet, which likely increases the gravity, leaving the planet’s atmosphere would prove very difficult, if not impossible, claim some. In order to exit the atmosphere of many of these exoplanets, an Apollo mission-based rocket would reportedly by necessary. Such a spacecraft would weigh an astronomical 440,000 tons (for all the fuel required). This volume is on par with the size and mass of the Egypt pyramids. Due to the sheer cost of space travel, it would also likely be near impossible for extraterrestrial life to leave their homes. That is unless a different and more powerful source of energy was harnessed. While the atmosphere of a super-Earth might prevent extraterrestrials from leaving the planet, it would also protect them as well. Namely, a thicker atmosphere would avert solar radiation. The gravitational forces on such planets would prove far more intense than that of Earth. These planets often have 10 times the mass of Earth. For example, a planet called Kepler-20b, which is 950 light-years away from Earth, fits these parameters. To leave the orbit of this exoplanet, the “escape velocity” would need to be 2.4 times larger than what is required to leave Earth’s atmosphere. The heavier gravitational forces would not necessarily mean that a hypothetical extraterrestrial race would be unable to leave its planet. However, by Earth’s standards, it would prove extremely difficult, far more dangerous, and substantially more expensive. Michael Hippke, a German researcher, is the one to have proposed this exoplanet gravity theory. As it is, the consensus is that the paper raises an interesting point as to what other races would have to achieve to reach the outer space. It seems that the big noses of the Neanderthals helped them be more active. Scientists taking advantage of 3D-modeling technology have been recreating “crash test” versions of Neanderthal skulls. Thanks to this, they now think they can explain why this extinct species of human beings had such a large nose. The dominant facial structures of Neanderthals have long been a subject of interest and debate. The protruding brow ridge, the forward thrusting nose, and the weak chin would have made these people instantly recognizable as a different species of man. But why the difference? An obvious possible explanation is the bitter cold Ice Age environment they had learned to survive within for tens of thousands of years. That a large nose would be an advantage in breathing cold, dry air efficiently has been a popular suggestion. But now it seems their big noses were no better at handling cold than our own. Although the Neanderthal nose was found to be an efficient processor of cold air, scientists were surprised to discover that our smaller, modern-day human noses can do just as well. In some cases, these smaller noses might do even better than Neanderthals in frigid conditions. Scientists also made a comparison with an early extinct human species, the Homo heidelbergensis. Here, the Neanderthal nose was clearly superior for cold-air breathing vis-à-vis our extinct relative. So why did Neanderthal need those big noses? Further tests may have provided the best possible explanation. It turns out that the wide nostrils of Neanderthal made them world champion breathers. That is, the sheer amount of oxygen they could move in and out of their lungs scored off the charts. Their breathing was easily twice as powerful as that of the Home sapiens sapiens. This superior ability to oxygenate their bodies meant that Neanderthal would have had enormous stamina. This would have especially contributed to their ability to run over long distances, and also for long periods of time. It would have been helpful in hunting, as well as in keeping constantly active to stay warm in extreme cold. “The take-home message from this is that the distinctive, projecting Neanderthal face is an adaptation linked with an extreme, high-energy lifestyle,” stated a researcher involved in the study. Study findings were released in the journal Proceedings of the Royal Society B. Scientists theorize that life forms might exist in the clouds of Venus. Life on the planet Venus seems almost impossible. However, a study recently published in the scientific journal Astrobiology puts forth a new hypothesis. One that proposes that forms of life may live within the heavy cloud cover that blankets this planet. How Could the Clouds of Venus Possibly Sustain Life? Calling Venus “inhospitable” is a gross understatement. Its surface temperatures reach nearly 900 degrees Fahrenheit. The dense clouds of Venus, full of sulfuric acid, ozone, and carbon dioxide keep heat from escaping back into space. Its atmospheric pressure is of around 1300 pounds per square inch, 90 times higher than that of Earth. It is believed, based on computer models of the planet’s evolution, that conditions on the surface were not always so unfavorable. Scientists also consider that Venus might have once been possibly able to support life on its surface. Current observations show that UV light is being absorbed before it reaches the surface of the planet. As it is, this phenomenon cannot be accounted for on a purely chemical basis. The Astrobiology study expounds on ideas first proposed back in 1967. These claim that as conditions on the surface of the planet became unfavorable for life on the ground, microscopic forms of life began to colonize the clouds of Venus. These could now be absorbing the UV light that hit the planet. Although no water has been found on the surface of Venus, water vapor is plentiful in the atmosphere. The temperatures there are also presumably within the range that could support life. Venus seems an unlikely place to find signs of life due to its harsh conditions. However, it has been theorized that microorganisms living in the clouds may account for the long-observed absorption of UV light. If science manages to prove there are, indeed, lifeforms on Venus, it may help us learn more about the evolution of life on Earth. University of Manchester researchers discovered that the two mummified brothers from Egypt had different fathers. A Manchester University might have just put a lid on a 4000-year old mystery involving two mummified brothers. DNA sequencing revealed Britain’s most popular mummies, might have had a different father. The two brothers are in the University of Manchester’s vaults since 1908. While it’s true that the two brothers who mummified and interred almost 4000 years ago shared the same mother, a new study bearing the University of Manchester’s seal has determined that not even this Egyptian family wasn’t sparred the drama that comes with the territory. The mummified bodies belong to Nakht-ankh and Khnum-nakth, two priests from the Deir Rifeh region. Historical records show that the two mummified brothers were the sons of the region’s governor. Thus, upon their death, they’ve received a burial ceremony worthy of an Egyptian Pharaohs. To this day, the bodies of Khnum-nakth and Nakth-ankh are regarded as the best-preserved mummies from the Egyptian Middle Kingdom. The discovery of the two mummified brothers is attributed to renowned British archaeologist Flinders Petrie, who opened their tomb in 1907. One year later, the bodies would be shipped from Cairo to the University of Manchester, where Dr. Margaret Murray, the first female archaeologist, and her team would examine their remains. 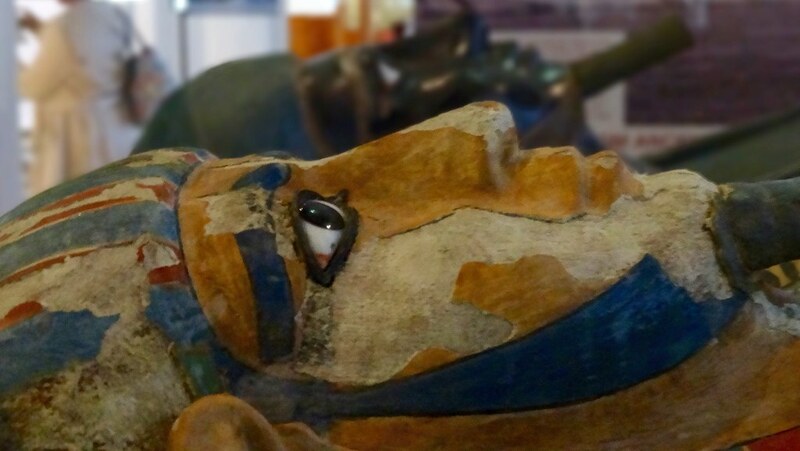 One hundred years later after Murray analyzed the mummies, another team of Manchester scientists took an interest in the two mummified brothers. Using gene sequencing technologies, the researchers were able to extract and isolate Y chromosome DNA and mitochondrial DNA from the remains. As you know, mitochondrial DNA is used to determine an individual’s maternal line, while the later is used to determine the paternal line. The DNA sequencing revealed that the two mummified brothers shared the haplotype Mlal, which indicates that they’ve shared the same mother. However, the Y chromosome DNA analysis revealed staggering differences in both cases, which clearly indicates that the two mummified brothers had different fathers. As to the reason behind these results, the researchers have hypothesized that either the brother’s mother had an affair or that one of them was adopted. A team of researchers from the University of Colorado Boulder have created a revolutionary type of robotic muscles. They are strong and flexible at the same time, can perceive the movements they perform and, whenever they suffer damage, they can self-heal. However, what is best about them is probably the fact that they are extremely cheap to manufacture. The robotic muscles have been called actuators, and have drawn inspiration from real-life muscles. By creating robots equipped with this kind of actuators, researchers would allow them to perform movements just like humans. To make the robotic muscles work, they filled some elastic material with electrodes made of hydrogel and with oil. Then, they applied some electricity, and the oil started moving around the electrodes. This way, the entire formation started contracting and relaxing just like real muscles, but a lot quicker. Researchers also took inspiration from the variety of human muscles, and created more types of actuators, each of them performing a different movement. They called these robotic muscles HASEL, which is an acronym for Hydraulically-Amplified Self-healing Electrostatic. However, they are superior to biological muscles as they are stronger, faster, and more flexible. Even the researchers were amazed they could develop such a technology. Eric Acome, the author of one of the studies, explained what is unique about the robotic muscles. These muscles are special because they are also self-healing. This property is given by the liquid placed inside of them, which also confers them a lot more advantages than those mechanisms using solids. In the end, the material which keeps the liquid, the oil, and the electrodes is extremely cheap. It is a type of polymer similar to the one used for potato chips bags, and can be manufactures for only 10 cents. Researchers published two studies on the robotic muscles, one in the journal Science and the second in the journal Science Robotics.